The Flymountis the first and only iPhone case which can be laterally or flat mounted on the helmet above. 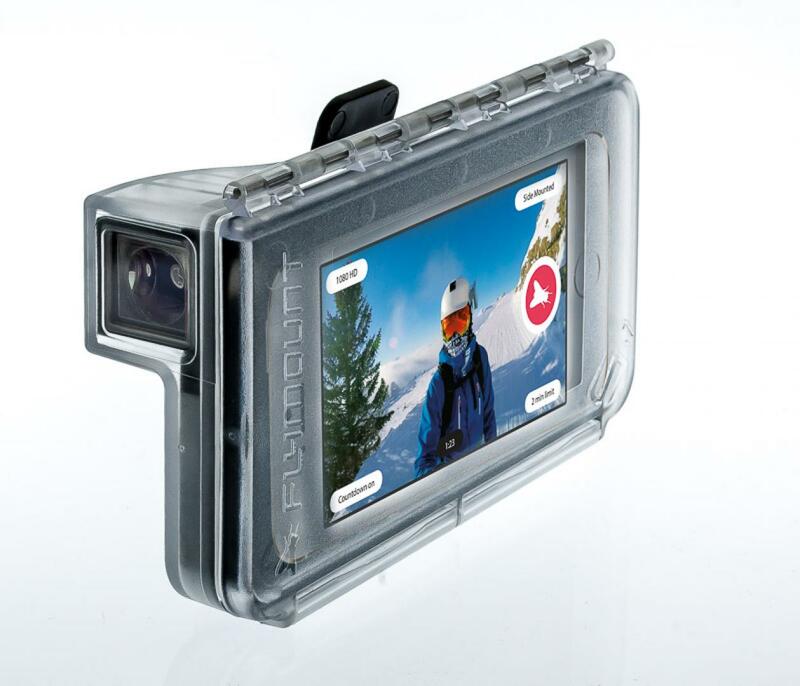 The flymount has a fantastic wide-angle shot that provides excellent iPhone camera quality. With Patantierte technology that allows iPhone shots from the perspective point of view, this is one of the best action iPhone cases available on the market. The Flymount case offers protection for iPhone’s against splash water and dust. As well as having a shock mounting system for ventilated helmets. Protects against water, dust and impact. *Does not come with an iPhone. *A PERFECT GIFT IDEA FOR CHRISTMAS!! !